Readers understand a message better when writers use explicit signals of what they want readers to get out of a document. Transitions like “unfortunately” are one type of explicit signal. (Headings are another — see Think long-term and be kind to readers with well-formatted documents.) 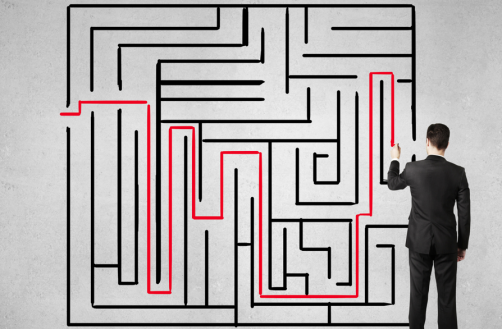 In fact, transitions are also sometimes called logical connectives. Maybe that makes their function more obvious. Consider two versions of an excerpt from Costco’s 2011 Summary Plan Description (SPD). Reclassified from “full-time” to “part-time,” your current medical plan will switch to Choice Plus for Part-Time Employees (HMSA HMO in Hawaii). If you’re currently in the Premium Dental Plan, you will switch to the Core Dental Plan. Reclassified from “part-time” to “full-time,” your current medical plan will switch to Choice Plus for Full-Time Employees but you will continue to be covered by Core Dental. Also, when your status changes, your Life and AD&D Insurance coverage will change to the level available to other Employees with the same benefit status and years of Service as you. Enter feedback in the comments below if I can provide you with better resources. Review the executive summary for a consultant’s report. The document was adapted for instructional purposes from a report produced by TishlerBise. Here’s a revised version of the executive summary with more effective transitions. The executive summary is used in this 12-minute video about transitions in workplace documents. There are a couple of posts here at Pros Write that deal with transitions . Just enter the term in the search field near the top of this page. If you want to see the research supporting my guidance, start with the following sources. Campbell (1995). Coherence, continuity, and cohesion: Theoretical foundations for document design. Lawrence Erlbaum. Chung (2000). Signals and reading comprehension — theory and practice. System, 28, pp. 247-259. 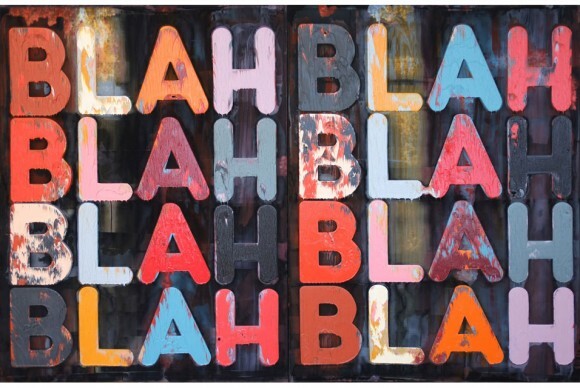 Mel Bochner, Blah Blah Blah, 2009. I mean who could argue with such advice? No one. That makes it a platitude. Fiction writers call wordy style purple prose, and WriteWorld offers these examples to clarify. Plain: He set the cup down. Middle Ground: He eased the Big Gulp onto the table. Purple Prose: Without haste, the tall, blond man lowered the huge, plastic, gas station cup with a bright red straw onto the slick surface of the coffee table. Far more than creative writers, workplace readers make fun of purple prose. And those who write it. Pros prefer the plain (concise) style over the elaborate prose of pseudo-literary geniuses. Keep in mind that not all redundancy is bad. Over at Sentence First, editor Stan Carey notes the key is whether redundancy makes the message more meaningful or memorable. And linguist Gabe Doyle at Motivated Grammar reminds us that redundancy is important precisely because communication is a noisy system. The issue here is identifying which words are needless so you can get rid of them and keep only the ones that communicate your intended message to your reader. Enter feedback in the comments below if I can provide you with more helpful resources. Read this executive summary from a business plan for a non-profit. The document was created by me based on one found at Bplans.com, but it has been adapted specifically to help you think about conciseness in workplace documents. Here’s a version of that executive summary revised for wordiness. The executive summary is included in this 11-minute video about using conciseness to create better efficiency for workplace readers. To improve your writing efficiency, the video also clarifies the best time within the process of creating a document to think about conciseness and other stylistic features. Plus it demonstrates that conciseness promotes a more forceful and confidant tone. There are posts here at Pros Write that deal with conciseness in workplace documents. Just enter the term in the search field near the top of this page. If you want to see the research supporting my guidance, you might check out the following articles. Campbell, K. S., Brammer, C., & Amare, N. (1999). Exploring how instruction in style affects writing quality. Business Communication Quarterly, 62(3), 71–86. Fagel, S., & Westerfelhaus, R. (2005). Charting managerial reading preferences in relation to popular management theory books: A semiotic analysis. Journal of Business Communication, 42(4), pp. 420–448. Suchan, J., & Colucci, R. (1989). An analysis of communication efficiency between high-impact and bureaucratic written communication. Management Communication Quarterly, 2(4), pp. 454–484. 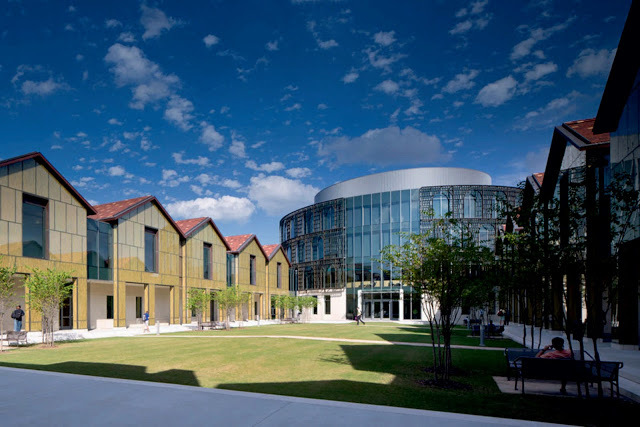 For the next two days, I’m excited to be visiting my alma mater to lead a workshop sponsored by LSU’s Master of Science in Analytics program in the Ourso College of Business. If you are curious about the agenda or materials, check out 3 Things You Need To Know About Writing in the Workplace.